The marketing landscape is constantly evolving. To ensure the success of your business, it’s natural to want to absorb as much marketing wisdom as possible. However, it’s nearly impossible to keep up with a daily influx of blog posts, news articles, and social media updates while also doing your job. What’s a busy marketer to do? The answer: listen to marketing podcasts! These podcasts offer a daily dose of marketing goodness without bringing your daily tasks to a halt. Whether you’re working, commuting, or sipping your morning coffee, there’s always an opportunity to learn something new. 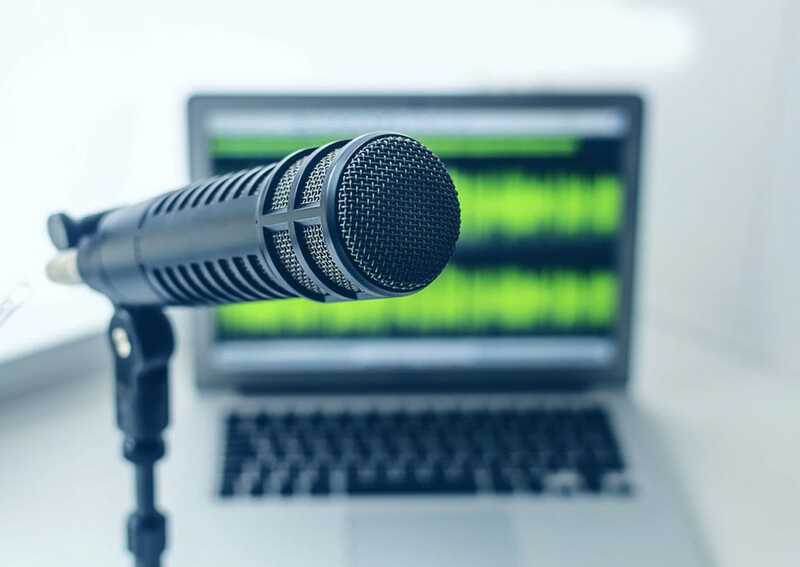 To get you started, we’ve compiled a list of 10 podcasts that will bring you up to speed on marketing in the digital age. Some release new episodes regularly while others are more sporadic, so there’s something for every schedule. What these ten podcasts have in common is that they’re all created by passionate professionals who live and breathe marketing. So if you don’t have the time to seek new information on your own, no worries! These hosts have done the work for you and they’re more than willing to share their expertise. Joe Polish is a self-described natural marketer and Dean Jackson has centered his life around working for himself and teaching others to do the same. With “I Love Marketing,” Polish and Jackson have built a global community of entrepreneurs who are seeking actionable marketing advice. These two are not only entertaining and informative in their own right; they also bring some heavy hitters on the show. Recent episodes have featured Brian Kurtz, Connor Blakely, Stefan Wissenbach, and more. Where else are you going to get marketing insights from some of the most successful entrepreneurs in the world? While this show is no longer airing new episodes, it’s still worth adding to your playlist for several reasons. First, Bain hosted the show for more than three years, so there’s plenty of material to work through. Second, episodes tended to be limited to around 30 minutes, making this an approachable option for time-strapped marketers. In each episode, Bain introduces a marketing expert, spends 15 minutes explaining their expertise, then delves right into a Q&A. Topics covered include optimizing Facebook ads, humanizing chatbots, and the future of podcasting. One of the most common questions new marketers ask is “how do Google Ads work?” If you’re in the same boat, this show is for you. This podcast focuses on teaching people everything they need to know about Google Ads, Google AdWords, and pay per click. Recent episodes include “Age, Gender, and Income Demographics Options in Google Ads Explained” and “Are You Doing Google Ads Correctly?” Given that Schaeffer is one of the top 3% Google Partners and Rothman is in high demand as a consultant for businesses around the world, it’s safe to say they know their stuff. Got 20 minutes? Liven up your morning routine with “Marketing Over Coffee” (which is actually recorded in coffee shops). This weekly podcast has a more casual vibe, so be prepared to learn in a fun way. The show is hosted by John Wall, VP of Marketing at EventHero, and Christopher Penn, a professor of marketing at the University of San Francisco. You’ll pick up tidbits on a wide range of topics, including affiliate marketing, SEO, social media, and more. Popular episodes include interviews with Mike Volpe of Hubspot and Ann Handley of MarketingProfs. If you’re a marketer who’s hungry for knowledge (and you kind of have to be in this fast-paced industry), these marketing podcasts are the perfect place to start. Not only will they help you keep up with changing trends and learn valuable lessons that you can apply to your own business — you’ll also have fun along the way.